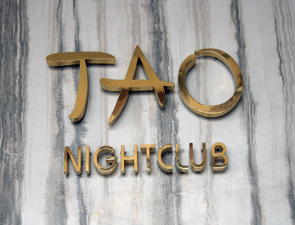 Although Tao arrived on the Vegas Strip in 2005, it's just as hot and happening today as it was the day it opened. In fact, celebrities are flocking to this $20 million, 42,000 square foot "Asian City," which houses a restaurant, a lounge, a nightclub and even a private pool, called Tao Beach. Just because the stars like it, however, doesn't mean you can't join in the fun. With authentic Asian touches that accent the entire restaurant -- the most notable being the signature 20-foot Buddha that resides over a serene, koi-filled infinity pool -- Tao is for everyone. You'll be glad it is, too, because just as happening as the nightclub, lounge and pool is the cuisine, which tantalizes the palate under the direction of Executive Chef Mark Andelbradt and Corporate Executive Chef Ralph Scamardella. This duo, which has graced some of the country's most notable kitchens, including those at powerhouses such as Le Cygne, Polo Restaurant, Strip House, Tru, Daniel and Morimoto, prepares such delicious signature dishes as Kobe Beef Shabu Shabu, Chilean Sea Bass Satay with Wok Roasted Asparagus and Lobster Wontons with Shittake Ginger Broth. It doesn't matter whether you're hungry for breakfast, lunch, dinner or a midnight snack, because from morning until the wee hours of the next day you can enjoy awesome food and atmosphere at Tao! 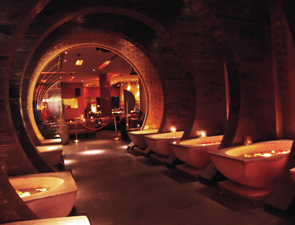 You might never leave, and if you do you might just want to try Tao's sister restaurant/nightclub next door in the Palazzo, Lavo.